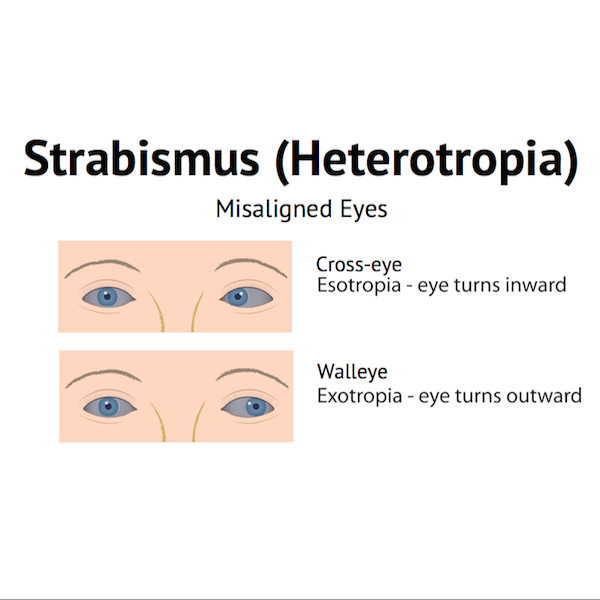 Strabismus, or misaligned eyes, presents in a variety of ways; it is generally classified by the direction and pattern of the misalignment. The most common of these misalignments is esotropia, commonly called “crossed eyes” and sometimes referred to as “lazy eye” or “squint.” About 1 to 2 percent of children will have esotropia. A substantial number of these children will also have amblyopia, or decreased vision (generally in one eye, and typically the deviating eye). Diplopia (double vision) is common in adult onset strabismus, but not as prominent in children. 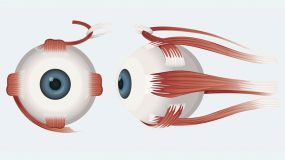 Intermittent esotropia of early infancy: there is a natural tendency in human babies for the eyes to cross in. Generally intermittent, it usually resolves by about four months of age. Pseudostrabismus: is a very common “form” of apparent crossing that is illusory. Some infant faces are characterized by closely set eyes, flat nasal bridges, and folds of epicanthal skin; these features may give the appearance of crossing. These findings are normal and resolve as the face matures. Infantile (congenital) esotropia: is characterized by early onset (within the first six months of life), a relatively large and obvious angle of inward deviation. It is commonly associated with vertical muscle misalignments and latent nystagmus. Treatment usually includes surgery. If amblyopia is present, then patching may also be required. Accommodative esotropia: is a common form of crossing of the eyes that typically has its onset between 1 and 4 years of age. In children who have significant hyperopia (far-sightedness), their eyes may over-converge inwards, causing esotropia. The condition often is intermittent at the outset, more common for near viewing and whenever the child is tired or ill. However, it becomes more frequent with time. Typical treatments include eyeglasses (with bifocals, if the deviation is greater for near viewing) and patching (for amblyopia). Non-accommodative and Acquired non-accommodative: refers to those deviations that are not easily categorized as above. A child or adult may have both accommodative (partial) and non-accommodative components to the esotropia. 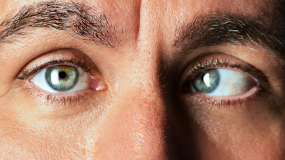 Sometimes accommodative esotropia (corrected with glasses) may “break down” and become less responsive to glasses, necessitating surgery in addition to glasses. 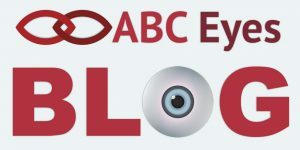 Caution should apply when there is any acquired strabismus, including esotropia, as there may be concomitant neurologic, metabolic, other medical conditions, or trauma. 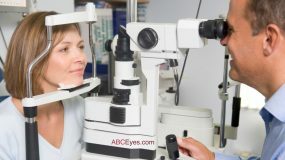 A careful medical and ophthalmologic examination is appropriate. Other less common causes of esotropia include paretic (such as 6th cranial nerve palsy) and restrictive (such as Grave’s disease). Early detection and treatment: as with most medical conditions, and particularly in children, early detection of the esotropia with prompt, effective treatment is a significant predictor of successful outcome. Generally speaking, with a real problem, waiting to “see if it will go away” is a poor and potentially harmful strategy. Patching: is the standard practice for the treatment of amblyopia, and may also be effective in ameliorating small angles of strabismus as well as facilitating the development of binocular vision. Prisms in eyeglasses: may be helpful for the treatment of small angle esotropia, and may be used as a temporizing method to control diplopia as conditions evolve and hopefully resolve. Surgery: is the standard of care for moderate to large angle esotropia as well as anomalous head posture. Exercises: are generally not helpful in esotropia. Time spent in this pursuit may delay appropriate diagnosis and effective treatment, and consequently may compromise outcomes. There are five areas of concern in outcome, and each will build toward and facilitate the next level. 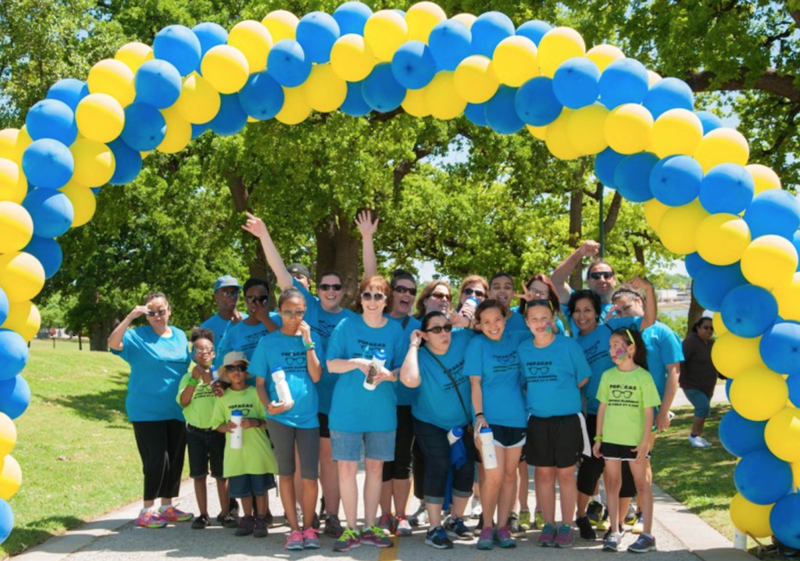 Since the visual brain of a child is at its most flexible and adaptive time when it is most young, early treatment is both the imperative and a determinant. Best Alignment: eyes straight so that they may work together, avoid double vision, and achieve smooth binocular function. Best achievable Binocularity: will be determined by good vision in each eye, well aligned eyes, and a healthy visual brain. With these preconditions, the “brain magic” of binocular vision, eye teaming, and 3-D vision may be achieved. Ocular and Visual Comfort: is generally achieved with all of the above, is subjectively the absence of symptoms of awareness of discomfort, manifested by comfortable prolonged use of the eyes, and objectively may contribute to productive pursuits without distraction. Absence of personal and inter-personal concerns: are important. We learn, communicate, and relate through our eyes. If eyes are out of line, both personal and inter-personal dynamics are interrupted. The nature and extent of these effects on self-confidence, esteem, and real world personal consequences have been well documented academically. The personal experiences are profound. 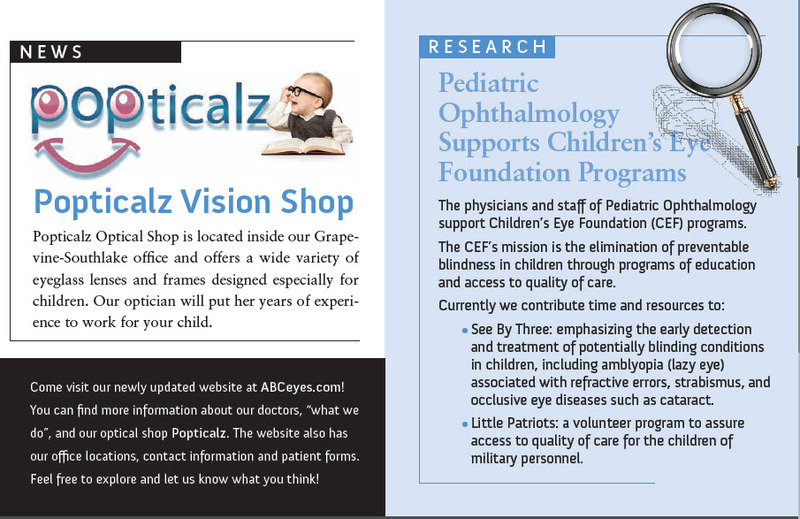 For additional information about the diagnosis and treatment of strabismus and amblyopia, please visit our Strabismus page.